This annual grant program funds research on the Ancient Mediterranean from the Hellenistic Era to the Early Middle Ages. Shohet Scholars may do their research in the fields of archaeology, art history, classical studies, history, comparative religions, or related subjects. Of special interest are interdisciplinary projects that approach traditional topics from new perspectives. 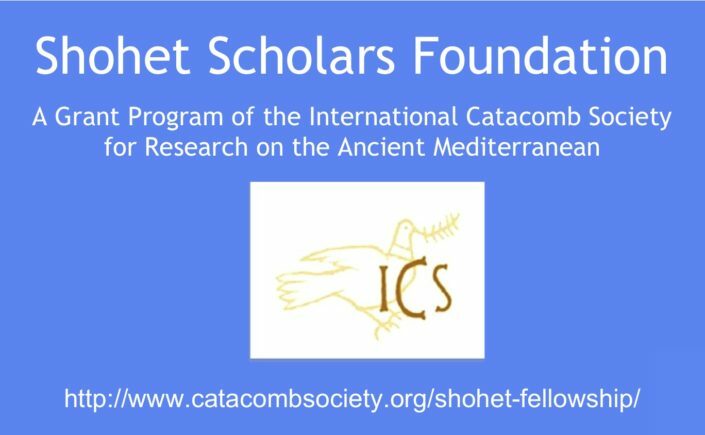 Scholars of all institutional affiliations and independent scholars may apply for Shohet Scholar funding if they are individual or institutional members of the ICS at the time of the application submission deadline of January 15, 2019 and in possession of a doctoral degree or the equivalent. Preference will be given to applicants in the early postdoctoral or launching stage of their careers (i.e., persons awarded the doctorate within six years prior to the application deadline). Non-U.S. citizens may apply if a co-applicant is a legal permanent resident (i.e. already in possession of "green card" or Form I-551) or native or naturalized citizen of the U.S.A., meets all eligibility requirements, and has a genuinely collaborative and credited leadership role in the proposal. Co-applicants must submit as individuals all the necessary forms except for the research proposal, list of permissions, and budget proposal, which may be filed jointly.